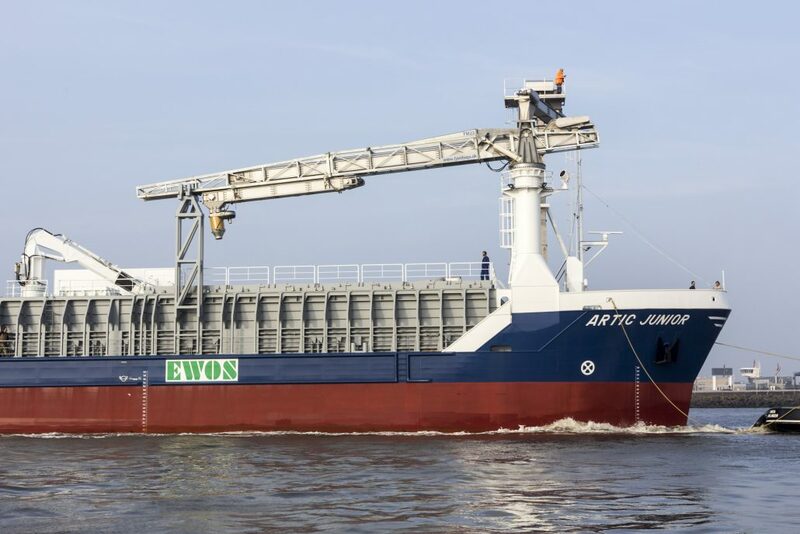 In the end of 2015 Conoship was requested by Veka Shipyard Lemmer to carry out a plan approval engineering for the conversion of a 3250 DWT general cargo vessel into a Fish Food Carrier for Norwegian Artic Shipping. 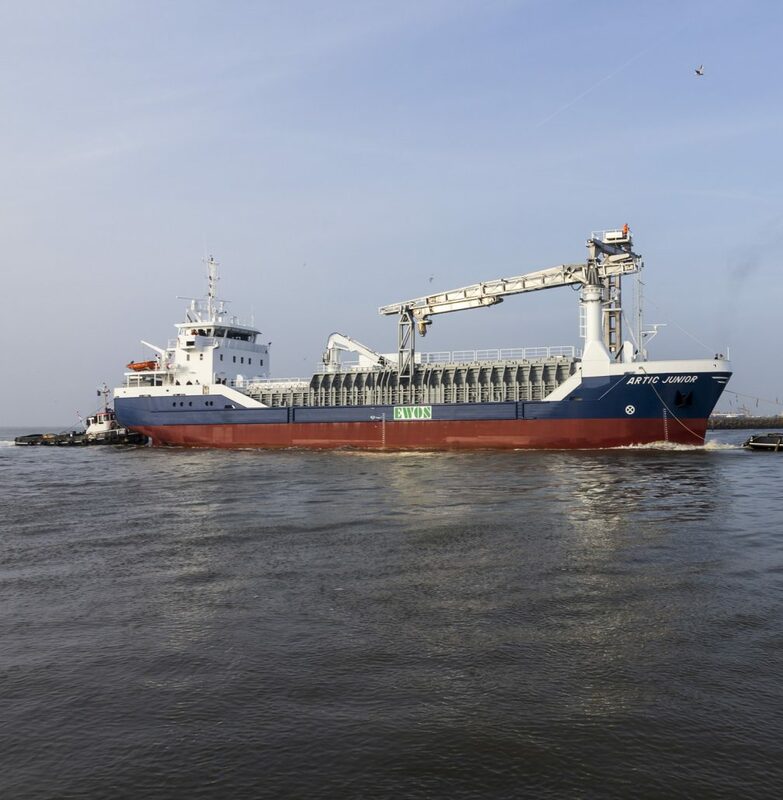 This challenging project involved shortening the vessel by 20 meters in addition to raising the coming and adding of state of the art fish food technology. 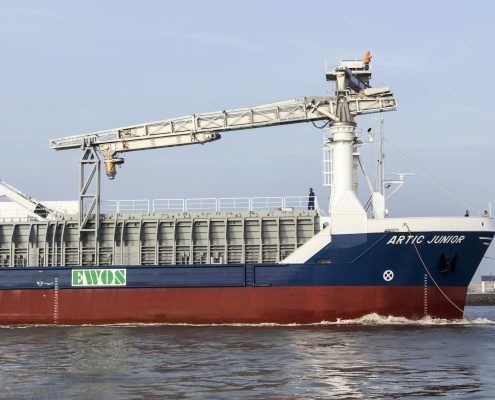 The vessel is now capable of loading fish food in two different ways: by means of big bags –moved around with forklifts and an on-board crane, either through a hatch or through a side door – and using silos – the food is stored as bulk and offloaded using conveyor belts and an offloader. 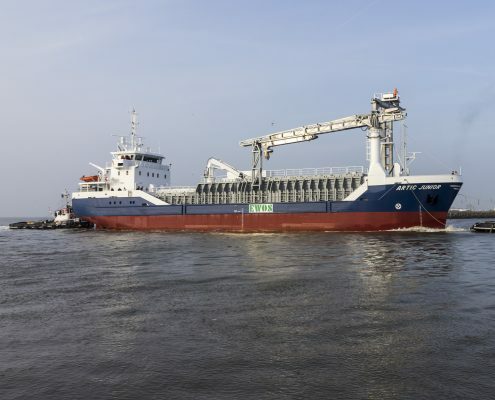 Work performed by Conoship Internationals naval architects include amongst others the General Arrangement, stability calculations and structural drawings.